Nakheel has reported net profits of Dh1.55 billion for the first three months of 2018, which is a 5 per cent gain over its first quarter 2017 returns. During this period, it handed over around 200 land and built units, and also sold the last of the available villas at its Warsan Village community with 934 homes purchased. The retail, hospitality and residential leasing divisions “continued to perform robustly”, the developer said in a statement on Wednesday. Full-year possibilities on all three business lines are rated strong, according to market watchers, and could set up a strong 2019 when some of the bigger projects reach their finish line and go into full operational mode. “It has been an impressive start to 2018, with our first quarter results reflecting our ongoing delivery and diversification as per our business plan and our key role in enhancing Dubai’s real estate sector — through a growing range of residential, retail and hospitality projects — in line with government goals,” Chairman Ali Rashid Lootah said in a statement. On the construction side, the master-developer continues to maintain momentum. Between January 1 and March 31, it signed contracts worth nearly Dh5 billion, which includes a Dh4.2 billion contract for the Deira Mall at Deira Islands and one for Dh385 million for its first joint venture at the new island destination — an 800-room beachfront hotel and water park from Spain’s RIU Hotels & Resorts. For its hospitality portfolio, Nakheel continues its strategy of entering joint ventures or awarding management agreements with a slew of hotel operators. Some of them are making a first-time appearance in Dubai. 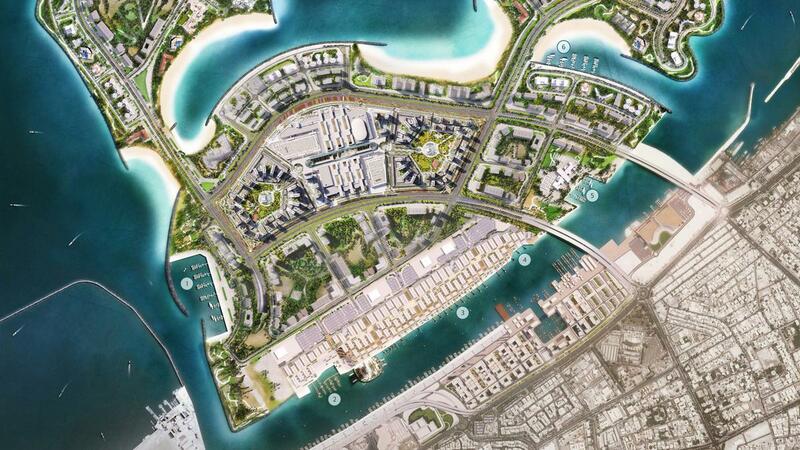 Its other major alliance will have Raffles open its second hotel in Dubai, this one being on the Palm. Meanwhile, Nakheel has made its first move outside of Dubai, signing an agreement with Sharjah’s Shurooq for a community mall in the emirate. This is a strategy that the developer could replicate given the right openings.